Sometimes, necessity creates the best projects, don’t they? 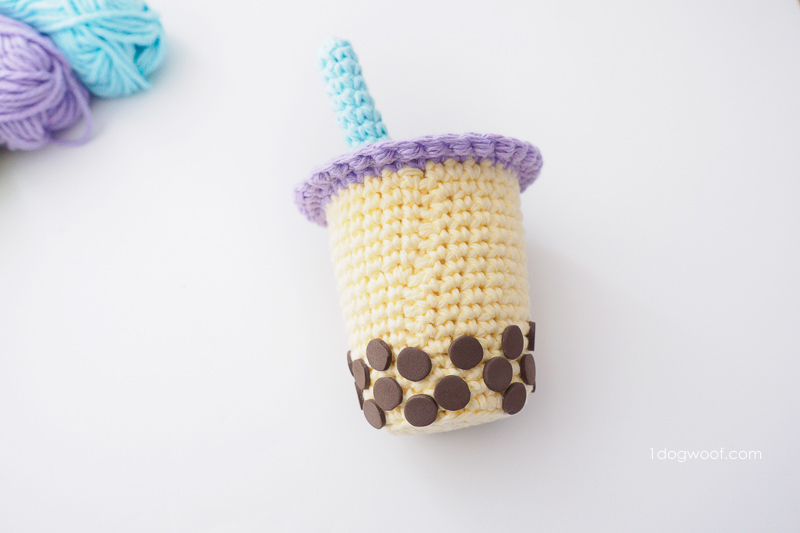 A friend’s birthday was coming up and our group of colleagues were looking into how to celebrate when someone shared a picture of a boba milk tea amigurumi and said “You should make this!” Our friend is an avid bubble tea aficionado, so it obviously made perfect sense that I, the crocheter in the group, should make one. A quick look made me think this can’t be too hard, I’ll just bang it out in an hour. Hahahahaha. YOU can bang it out in an hour. It took me a bit longer! The problem was the shaping of the cup itself. I was tempted to run out and get my own bubble tea, you know, for research purposes, but decided to spare myself the sugar that day. I used Yarnspirations Bernat Handicrafter yarn that I had left over from my Jellyfish project, and only scrap amounts are needed. 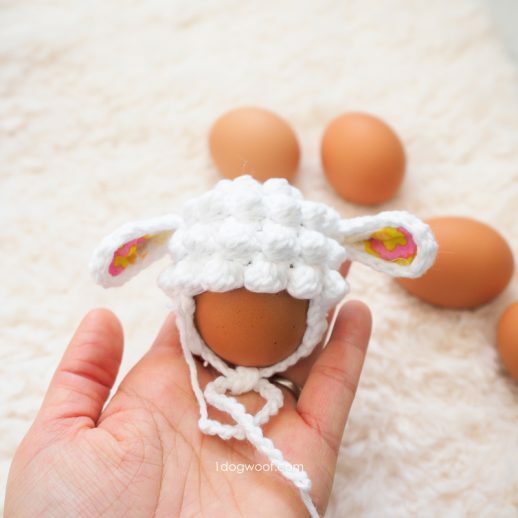 I find this type of amigurumi that requires structure is best done in cotton yarn, but really, any yarn will work! When I design an amigurumi project like the Classic Stuffed Bunny I posted about recently, I tend to work in seamed rounds, so I can frog my work as necessary. But then the final pattern can often be worked in a spiral to eliminate the visible seam. On this one however, I highly recommend you stick with the seamed rounds so that every round is lined up evenly and your bubble tea doesn’t stand crooked! The whole project is super simple, with a few sneaky tricks to make it look perfect. Head on down to the pattern! 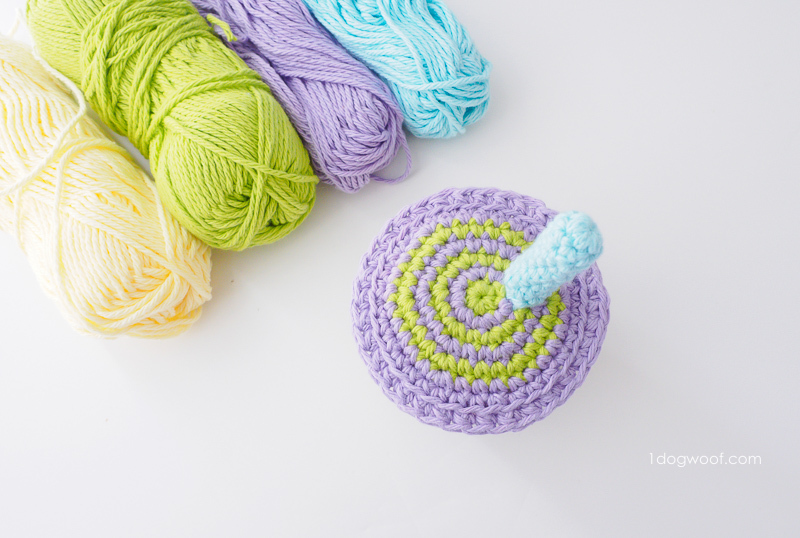 1 ball of each of 4 colors of yarn. The lid can be worked in a solid color or in alternating stripes. If working in stripes, use my seamless stripes tutorial! The cup and lid are worked in seamed rounds. The straw is worked in a continuous spiral. Attach the safety eyes between Rounds 14 and 15, about 6 stitches apart. Embroider on a small smile. Cut a piece of cardboard to fit inside the cup – this gives it a bit more to stand on. Place the cardboard at the bottom of the cup. At this point, go ahead and weave in your ends to the backside of the lid. Continue on and make the straw. Work 6 sc into magic circle. (Do not join round. Work in continuous spiral.) Work 48 sc around. Cut yarn and fasten off, leaving a tail for sewing. Fold a pipe cleaner into the length of the straw, and stuff the straw with the pipe cleaner. Attach the straw to the lid, slightly off center. Attach the lid to the cup by working through all 4 loops, 1 sc in each st around. Both the cup and the lid should have 33 stitches around. 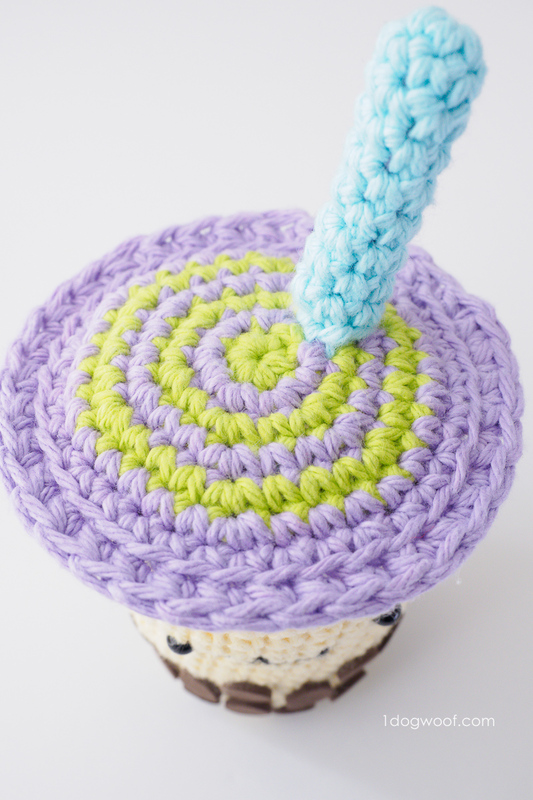 Before completing the round, stuff the cup with polyfill stuffing. Add a second piece of round cardboard to the top, just under the lid, to help give it shape. Finish the round and join to first sc with sl st.
Border: Insert your hook into the same st, pull up a loop. Insert your hook into the next st again and pull up another loop. Yarn over, pull through all 3 loops on hook. Repeat around. Cut yarn, use the invisible join to finish, weave in ends. 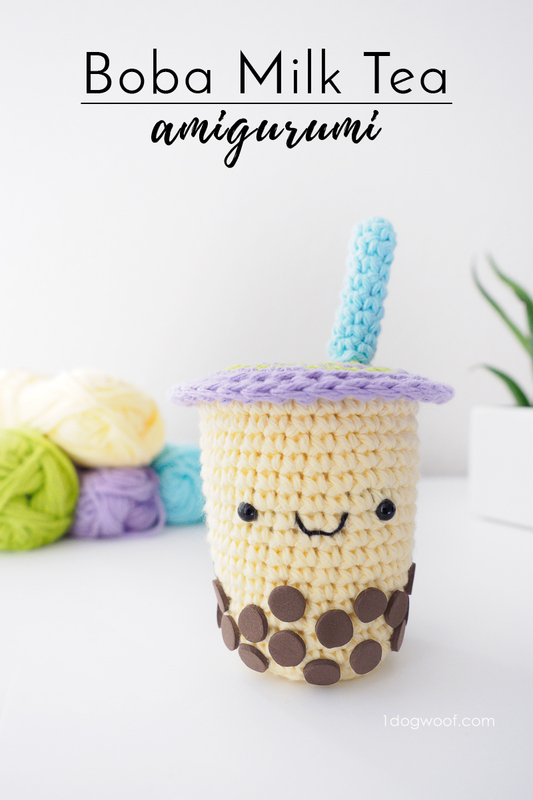 Finally, cut out small circles from the brown felt or foam, and hot glue them randomly on your finished milk tea amigurumi to make it a BOBA milk tea amigurumi! The entire birthday gift ended up being this bubble tea amigurumi, a custom made boba journal to document her boba adventures, and a gift card to one of the local tea shops in town. Because both this and the journal were handmade, and life delays, it took almost 2 weeks for the gift to actually be gifted, but it was worth the wait! And now, I see the little boba ami on her desk every day! Please share your Boba Milk Tea amigurumi with me on Facebook (One Dog Woof) or Instagram (@1dogwoof)! Remember to tag your post with #1dogwoof! 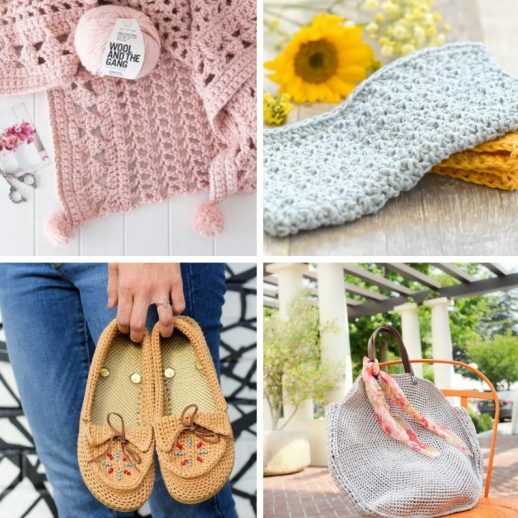 Check out my pattern shops on Craftsy and Etsy where you can purchase printable PDFs of my latest crochet patterns. These PDFs are formatted without comments or ads, and have instructional photos at the bottom for optional printing. I sometimes include affiliate links in my supply lists. Purchasing from these merchants earns me a small commission with no extra cost to you, and goes towards supporting One Dog Woof. If you're new here or enjoyed this post, please consider subscribing by email to receive updates in your email inbox. 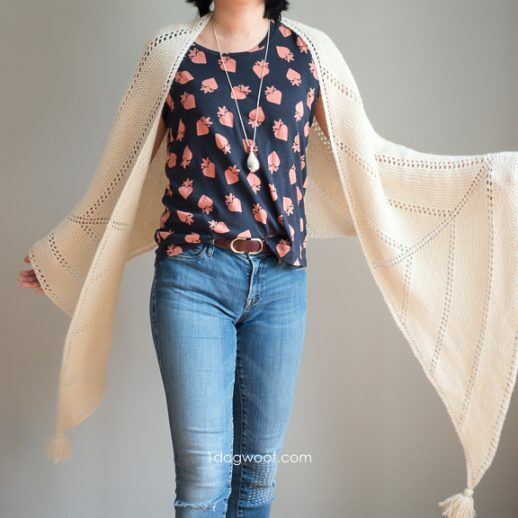 Awesomely cute pattern! My son and I love milk tea. I might just have to make him one of these! Bubble Tea! How cute is that?! 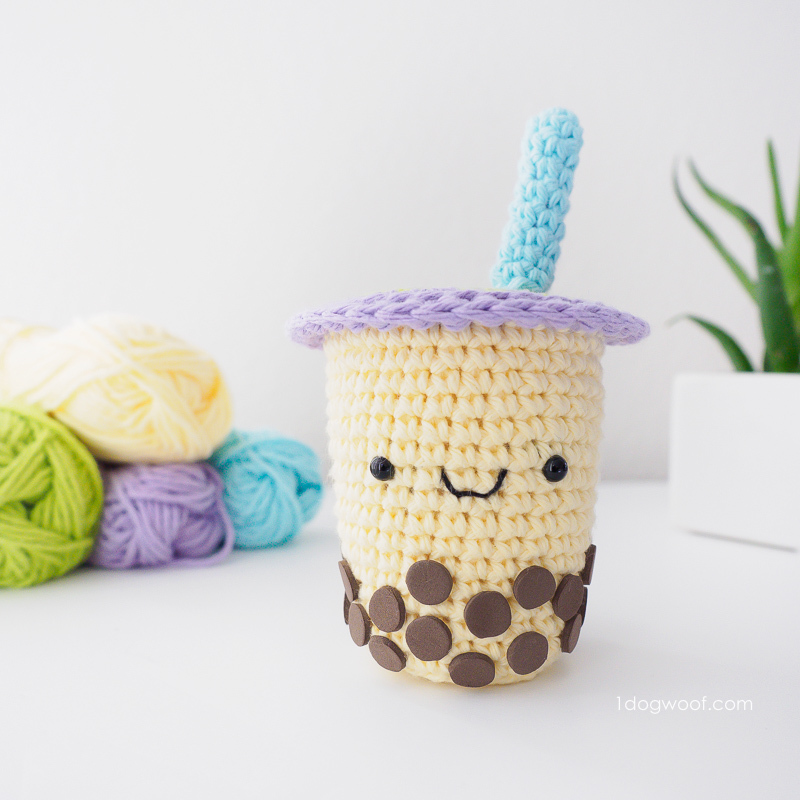 I LOVE Bubble Tea and I love cute and kawaii amigurumi! Perfect! I’m so sad as well as none sold Bubble Tea in Germany anymore. 🙁 I loved it! Now I will make my own cute Bubble Tea! 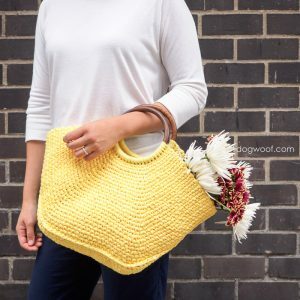 Thank you so much for this great pattern! P.S. 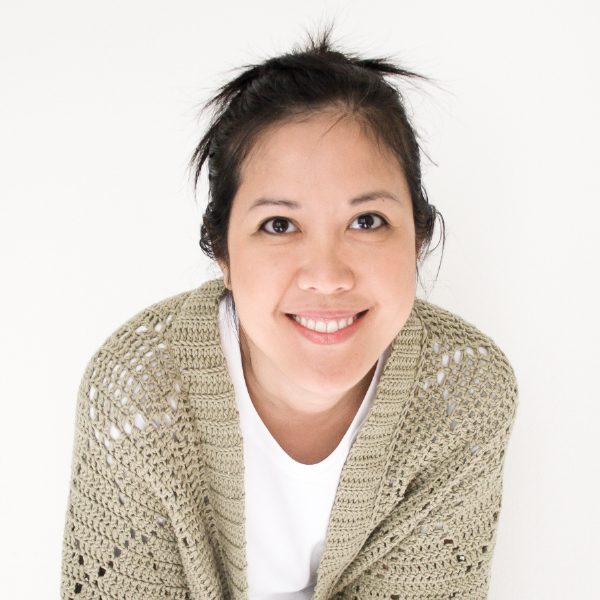 : I love the design of your blog! Great job! This is so cute! I know what to give to my boba-milk-tea-holic friend 😀 Thank you very much for sharing the project! Gonna try it! This is absolutely adorable! 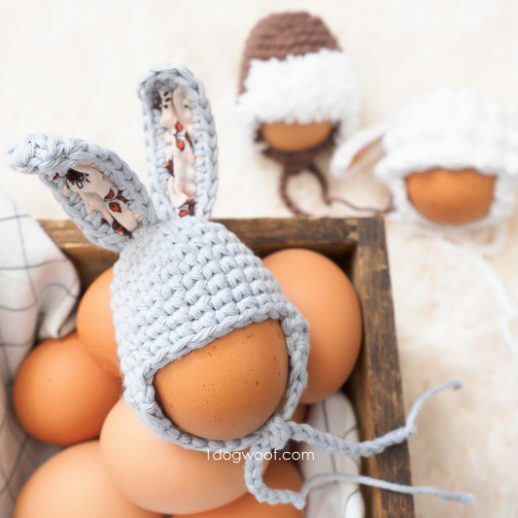 Your crochet stuff is so nice!